At last, sipa, one of the many Filipino indigenous games that is fast becoming a thing of the past, has been revived – online that is. Now being sold side by side over 500,000 applications on Apple iTunes Store and Android Market, Sipa (street hacky sack) is the latest initiative of Team Butchukoy, founded by social entrepreneur Dale Dennis David. The game is part of the Filipino Pride campaign organized by Filipino Matters, a non-government organization. 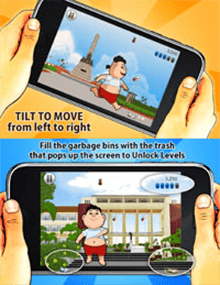 The campaign, which involved lectures in public schools, and inspirational books to promote Filipino pride and love of country, has been stepped up further to target the young generation, most of whom are not even familiar with traditional games that their parents and elders played in their childhood. By turning this traditional game into a modern format, they hope to attract audiences of all ages and of different nationalities. 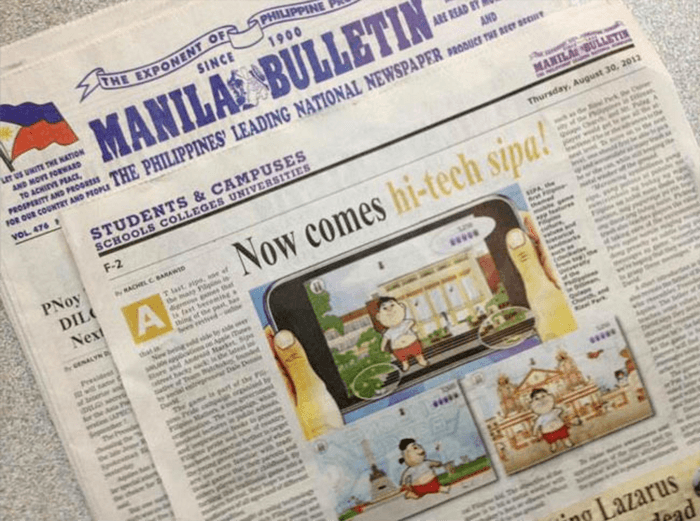 “We thought of using technology to promote our rich Filipino culture and identity to both the young and old Filipinos. ‘Yung mga bata mas makikilala nila yung kultura natin bilang Filipino sa paglalaro ng sipa. ‘Yung mga parents naman nila at iba pang nakakatanda ay makakapagreminisce sila ng masasayang memories ng kabataan by playing this game,” explains David. He adds that this game is also a great way for foreigners to learn about Filipino culture and the country. The Sipa Street Kick game app revolves around a little boy named Butchukoy who represents the typical Filipino kid. The objective of the game is to hit a metal washer with Butchukoy’s feet or elbows without letting it fall to the ground. To raise more awareness and appreciation of the country and its historical and tourist attractions, the game is set in popular landmarks such as the Rizal Park, the University of the Philippines in Diliman, Quiapo Church, and Mt. Pulag. A player would get to see all the attractions if he or she advances to the next level. To move on to the next level, one should first be able to pick up and accumulate as many trash as he or she can, while still keeping the metal washer off the ground. “Maraming symbolisms yung sipa, yung pataas at pababa na sumisimbolo ng buhay ng mga Filipino na kahit nasa ibaba tayo minsan, nag pupursige pa rin tayong itaas ang buhay natin. Picking trash also teaches players the value of taking care of the environment. Pero ayaw namin maging masyadong preachy so subtle lang yung messages sa game. Nevertheless, we’re hoping that they would be able to grasp these messages,” stresses David. A short introduction in the game also reveals the father of Butchukoy, who resembles President Noynoy Aquino. The father of the kid also teaches some values in the game. David says they decided to have the character resemble the President because he is the father of the nation. As the game is further developed, players will find subtle values and messages being relayed by this character to reinforce their objective. The game is available for 99 cents or P40. A free version will also be provided later on. The Sipa app can be used with the iPhone, iPad, Android and Smartphones. David says their team is planning to develop more Filipino-themed games to help preserve and immortalize our Filipino heritage and culture.